The independent research group Adaptive Memory (led by Dr. Roland Benoit) at the Max Planck Institute for Human Cognitive and Brain Sciences (MPI CBS) in Leipzig, Germany, invites applications for up to two Postdoctoral positions "adaptive memory and prefrontal cortex". how episodic simulations can shape our models of the world and influence decisions (e.g. Benoit et al., Nature Communications, minor revisions; Benoit et al., J Neuroscience, 2011). The starting date is flexible, though preferably in spring/early summer 2019. The positions are initially for two years with a possible extension. 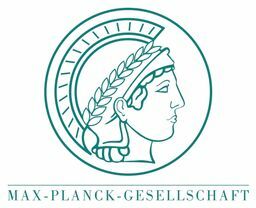 Remuneration is based on the payscale of the Max Planck Society. There are no teaching obligations. To apply please submit the following documents as a single PDF file: curriculum vitae, a description of your qualifications and future research interests with respect to the group’s agenda (ideally with detailed study ideas), contact information of two referees, and up to three of your publications. Application is via our online system at https://www.cbs.mpg.de/vacancies/open-positions (subject heading: “PD 07/19”). The positions will remain open until they have been filled. All applications received by the 1st of May 2019 will be considered. For further details and an informal discussion, please do not hesitate to contact Dr. Roland Benoit at rbenoit@cbs.mpg.de and see https://www.cbs.mpg.de/independent-research-groups/adaptive-memory.